This workshop is now over. Please subscribe to our newsletter to be notified about more unique workshops and to see videos of past workshops. Melbourne-based Fiona Hiscock and Sydney-based Niharika Hukku are ceramic artists who utilise the three dimensional clay form as a canvas for painting. Their subject matter is often the natural environment and they are both representational in style, however their results are entirely unique. 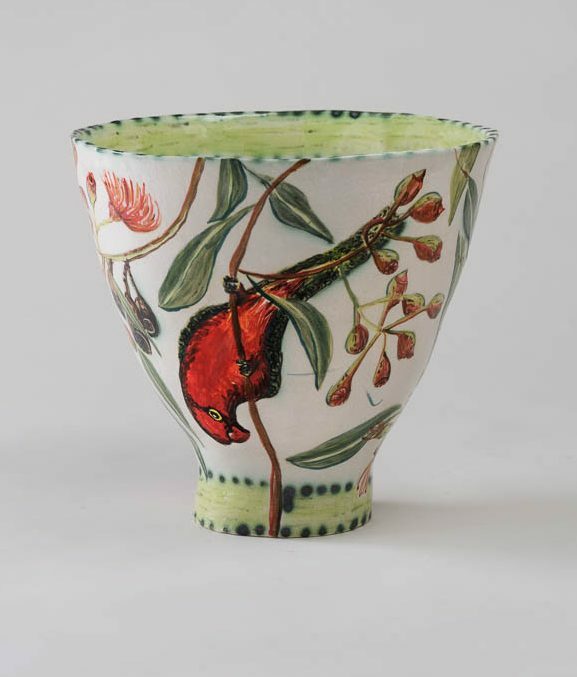 Hiscock’s flamboyant paintings of birds and plants inhabit her expressively hand-made and hyperbolic jugs, vases and platters with a cornucopia of life that is rich and entrancing. 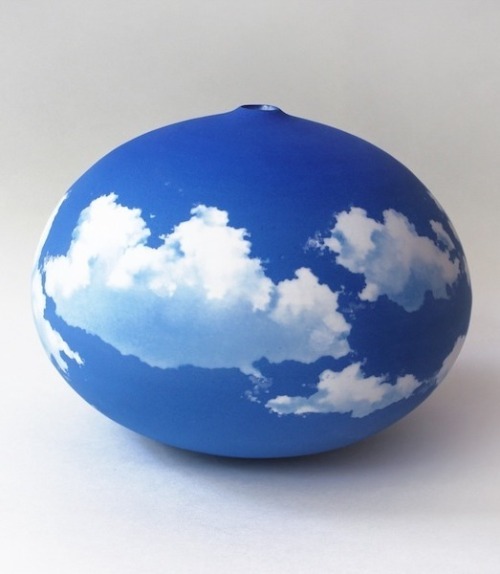 Hukku’s designs are photo-realistic and measured by contrast, yet her life-like goldfish almost swim off her precisely made porcelain vases and her compelling sky and cloud-scapes could legitimately be used as perfect meditation objects. This one day workshop will bring together these two individual artists to discuss and demonstrate their different approaches to painting the clay canvas. The day will begin with presentations from each artist which will trace the development of their work to date and detail their conceptual approaches. 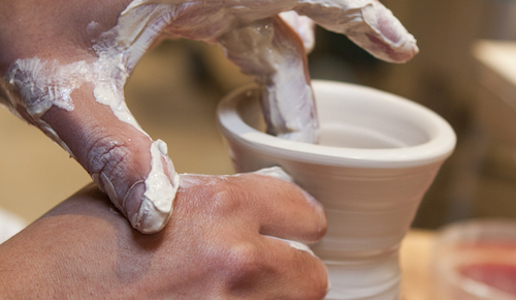 This will be followed by detailed demonstrations of their techniques, materials and processes and also offer an optional guided teaching exercise where students will be able to experience the materials themselves on a small ceramic object. Finished objects will be fired and students can collect them a few weeks later or have them posted.